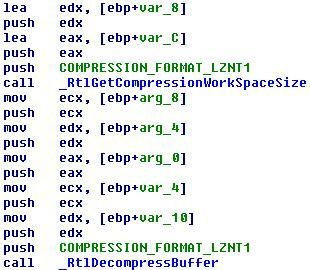 Anyway, the function are mostly used to decompress a file (which is hidden inside the original exe). It’s pretty easy to use these functions, and with few lines of code you can have your compression engine. It’s always hard to understand the content of an encrypted/compressed series of bytes, but not this time because it’s easy to recognize a compressed exe just looking at the bytes. The crackme is packed with an home-made custom packer. When you run the file, the unpacking process starts and when it stops you should have the original file running on your system. This time it doesn’t happen, the crackme crashes. It’s our job to identify the reason behind the crash, and once you have fixed the file you can search for the right serial. What the hell causes the crash? This is the main question, but the real problem is: how to locate where the error occours in an easy way? You can start analysing the file from the beginning to the end, that’s the right way but it can take a lot of time. I prefer to take another way starting from the crash. the DEFAULT_BUCKET_ID field shows the general category of failures that this failure belongs to. The name of the category says it all. it shows a stack trace of the faulting component. When !analyze determines the instruction that has probably caused the error, it displays it in the FOLLOWUP_IP field. I think Windbg is not able to produce a good output, seems like there are some errors inside the output generated by the debugging tool. I don’t think the error occours at 405BF9, I think it occours at the previous instruction which is something like “Call 00059a5a”. I got this idea looking at the STACK_TEXT contents. It’s pretty obvious now, these are not-resolved functions. That’s why the exe crashes. Presumably the point to fix resides inside the procedure used to resolve the API. A good and quick way consist of using some clever breakpoints on functions like LoadLibrary/GetProcAddress; after some minutes I got the right point to patch. This is how I solved the first point (fix the unpacked file). I think it’s the fastest way because you start looking through the loader having in mind what you are looking for. Before giving out what to patch I’ll spend some words on the loader. I’m writing a solution and I’ll try to give you a sort of detailed analysis of the packer too. If the program reveals the presence of a debugger you won’t pass through 469C36. So, if you want to continue studying the exe you firstly have to get rid of this check. 00469CBB MOV EAX,DWORD PTR DS:[EAX+ECX*2+10]	//	It's IsDebuggerPresent check!!! A nice antidebug trick. It’s an IsDebuggerPresent check with an unusual check. In the previous check there’s a compare between the value stored inside eax and 1; this time the check is a little bit writhed. The author uses an idiv instruction as a final check, if you are debugging the file bl will be 0 and the idiv instruction will raise an exception. Otherwise, you wont have any error and the packer will proceed without any problems. The next step performed by the packer is another decryption loop. This time it’s not so easy like the first one we saw at the beginning but it’s not hard to understand how it works. The decryption routine decrypts the code section. The decryption uses a dinamically allocated buffer, allocated using VirtualAlloc; since of I should know where the crash occours I’m not interested in this decryption by now. If you want to check the routine pay attention on the antidebug trick, there’s a breakpoint check. 00469EC9 TEST EAX,EAX				//	Address ok? 00469ED1 CMP BYTE PTR DS:[EAX],0CC		//	Is there a bpx on the first byte of the current function? 00469ED4 JE CrappyFu.00469E04			//	Yes: error! 00469EDA JMP SHORT CrappyFu.00469EDE		//	No: jump... !?! Do you remember why the crash occours? The file crashes because there’s a problem with the value stored inside 4591E4. At 469E85 edx has the value 459118, pretty near the address of the suspicious dword. This is a big hint, I’m in front of the bugged code. The snippet is a classical piece of code used to fix imported functions, there’s only a strange thing inside this snippet; I’m referring to code around 469EDA. What does it happen to the retrieved address? Nothing… it’s simply discarded! You can modify the original exe file patching the bytes between 463ED9/463EDB with 0x6F, 0x00 and 0x19 (offset 0x334D9/0x334DB). Now I have a working crackme. Try stepping a little inside the procedure and you’ll surely get the main point of the routine. If yuo have Ida you don’t have to step a single line because you can understandd everything from the dead list. I think you can easily find out how the checks are done. Is it possible to solve the system? s6 = 33 : ! The right serial is Fairy!